Round up of Giveaways still Running, a New One and a Sale! Canada has just celebrated its 150th Anniversary, and there’s a big holiday pending in the US this week too, so it seemed time to celebrate! Two giveaways are still running, however! 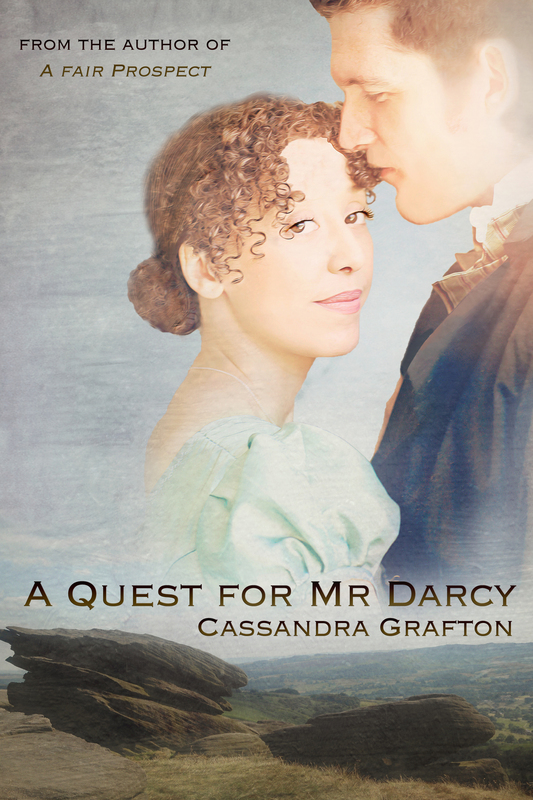 There’s an exclusive outtake from the Prologue of A Quest for Mr Darcy over at Claudine’s lovely blog, Just Jane 1813, and you can read it and enter the giveaway here. Closing date for entries is 5th July. The lovely Janet Taylor has written a beautiful and eloquent review of the book over at More Agreeably Engaged, which you can read here, and there is a further giveaway to enter. Closing date: 6th July. 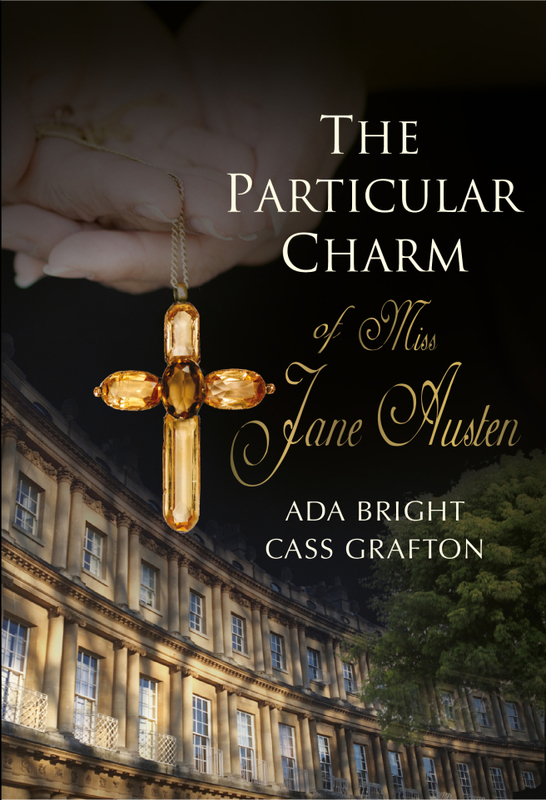 On 7th July, it will be the first anniversary of the release of The Particular Charm of Miss Jane Austen (co-written with the lovely cover designer of Quest, Ada Bright)! This title is now available in Kindle Unlimited AND for the coming week is also on sale at $2.99! Further exciting news about the book and the sequel will be coming in the following weeks over on our Blog at Tabby Cow. I seem to have a spare presentation pack of the Brilliant Uncirculated £2 Coin featuring Jane Austen! What can you do in the circumstances? Oh yes! Give it away! To enter the draw, just leave a comment revealing your favourite Austen character – from any novel – and why! The draw will be open for 72 hours, so a winner will be chosen on Wednesday morning UK time! Happy Holidays to those celebrating, and good luck in the various giveaways to everyone! This entry was posted in Uncategorized and tagged A Quest for Mr Darcy, giveaways, Just Jane 1813, More Agreeably Engaged, sale. Bookmark the permalink. 52 Responses to Round up of Giveaways still Running, a New One and a Sale! I have commented on all the blogs in hopes of winning your book as I am so looking forward to winning it. In the meantime I would love to win the coin so many thanks for the opportunity Cass. Good luck in all the draws, Glynis! Ooo, there’s going to be news about a sequel to The Particular Charm! Can’t wait! Wasn’t Janet’s review just lovely? Wish I had either your talents or hers, or possibly both, Cass. As you know, I already have my very own £2 coin, so please don’t put my name in the giveaway hat. My favorite character would Lydia. She has such a presence. That one is a rebel. My favourite character is Charlotte (P & P). She had so little control over her life and her prospects were grim but she soldiered on and did what was best for her. Good one, Suzanne! Good luck in the draw! I’m still making my way through Quest. The edited version is divine! I have to say Fitzwilliam Darcy: any man who can make such great changes for a woman and not expect her to then fall at his feet; even more not wanting her to know of his over-the-top deed of saving her family’s reputation and not wanting gratitude is a rare man indeed. Thanks for the chance to win. Now that is such a hard question but I am going to go with Mrs. Bennet! She provides such comedic relief throughout and makes me thankful for the wonderful mother-in-law that I have! Just read Janet’s review and it was wonderful! I do agree that I laughed too (in your postings) with Darcy’s first meeting with Elizabeth…priceless! Your generosity knows no bounds! Thank you! Thank you for Canada 150 Day and Happy 4th to all in the U.S.
Hope you are celebrating in style, Carole! I love your choice, and I love your reasoning over appreciating your own mother-in-law all the more. I ❤ mine too! I'm glad the meeting of our dear couple raised a laugh! I had hoped that would be people's reaction! I love Anne too, Julie. Persuasion has become my favourite Austen novel of late. I love Anne Elliot, no matter what her family does she stays kind and positive and in the end defies them. It’s a miracle she turned out so well, lol! I too have a lot of time for Anne. I ❤ Captain Wentworth too, Sheila! He was constant without even realising it at first, bless him, but like all the best characters, he had to grow during the novel, and he truly put aside his resentment and saw the light. And his letter beats Darcy's hands down! Perfect! I love so many characters it’s difficult to choose just one. I guess Anne Elliot would be my top choice as she is the character I can most relate to. It’s a difficult question, but I think Fanny Price is my favorite. Her quiet strength and fire, despite a bumbling Edmund, wins my admiration. Thanks for the giveaway!! 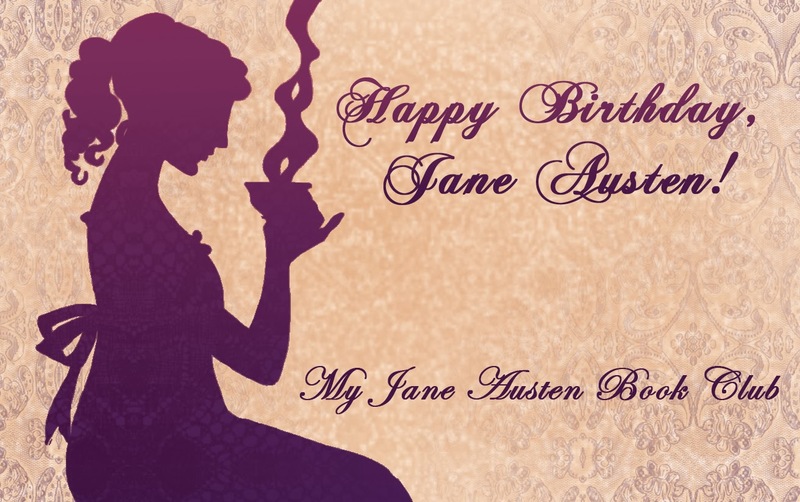 And congrats on the first anniversary of The Particular Charm of Miss Jane Austen!! Nice choice. Fanny so often gets a bad press! Good luck! Darcy is very swoon-worthy, and who wouldn’t admire such a handsome and noble man? I’m going to be different, though, and give some love to Mr. Collins. I love to laugh, and he provides so many reasons to do so! I must give a great amount of credit to David Bamber’s performance in P&P95. I think he was perfect in his role. David Bamber was a true to life, cringe-worthy Mr C! I have to agree with Pam Hunter, particularly in the stories where his character is broadened from the strictures of the canon characters, although he certainly is humorously depicted in the original as well. I think Jane Austen has a fabulous touch with her comedic characters. Mr Collins must be a joy for an actor to play! I ❤ Anne too, Patricia! I would have to saw my favourite character Austen character is Catherine Morland. She grows so much during the couse of the novel. My second would be Lizzy Bennet, another heroine that grew in character so much. Thank you for the lovely giveaway. A refreshing choice, Lynn! So many people don’t seem to enjoy reading Northanger Abbey, and I think it’s such a shame! There are a few favourite characters for me but Elizabeth Bennet takes the cake. I could understand and empathised with her when Mr Darcy slighted her during the Meryton assembly and assume the worst in regards to him. I see part of her reflected in me. Not a bad choice for someone you see yourself in! Good luck! There are so many favorites it’s hard to choose. But since I must, I will go with Elizabeth Bennet. She loves her family, faults and all. I admire her loyalty. And she gets Mr Darcy in the end which doesn’t hurt either. I am all anticipation for news of your sequel, don’t keep us waiting too long! We’re working on the Charm sequel and news will be coming of some other things too! Fitzwilliam Darcy is my favorite character. He is willing to undergo so many changes in order to win the love of his life. He opens up to Elizabeth, so she will understand hi is character better. ❤ Yes, he's a hard act to follow, isn't he, Patty? I will always love Elizabeth Bennet… she was so strong and resilient. And it took major guts to admit when she was at fault. A popular choice, Cassandra! Good luck in the draw! It’s very difficult to pick just one favorite character. The best I can do is narrow it down to two, Emma Woodhouse & Elizabeth Bennet. My reason is the same for both. They are both strong women who grow stronger through recognizing & changing their faults. The struggle is real. I have such a hard time choosing between my favorite characters. I would have to say it runs the gamut between Elizabeth Bennet and Anne Elliot, but really, most likely, my favorite character is which ever novel I am reading at the time. My head does get a little blended with all of the variations I read as well. Sometimes it’s hard to remember what did and did not happen. By the way, my favorite new characters are the Bingley twins. They are so delightful. I would love to see a sequel with more of their escapades. I feel your pain over choosing between Elizabeth and Anne, Lauren! I love them both so much for different reasons.